Call us today and we will get to work, no matter the hour! 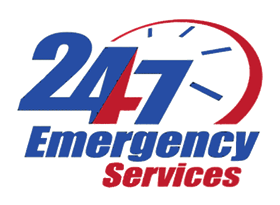 24/7 Emergency service, live support and advice! A&D Hydra Clean is absolutely committed to providing unparalleled customer service as we work to meet immediate and long-term needs in a timely manner consistent with the highest standards of our profession. We provide professional renovation and installation services with a real focus on customer satisfaction. A&D is a second generation family business heavily invested in the Indianapolis community. The men and women that work for our company are our family and we believe in them and the God given abilities that they have to serve our customers with excellence. Work with us involves a carefully planned series of steps, centered around a schedule we stick to and daily communication. We understand that the loss caused by water, fire or mold damage can be devastating to a family or business. However dealing with the insurance agencies does not have to be a painful process. Let our years of experience give you the insurance help you need! A&D is very responsive! The reconstruction all went smoothly and they kept the work site clean. They did an awesome job and made sure we understood what was happening throughout the process. I would definitely recommend their service! Can’t say enough good things about A&D. This was my first big repair job as a homeowner, and I didn’t know what to expect, what all would need to be done, etc. Called A&D because my mom had used them and was very pleased. As a woman alone in the house, I always felt safe and comfortable with their employees. I found them to be prompt, professional, cheerful, meticulous, skilled, positive, confidence-inspiring. Would definitely use them again, and recommend them to others. I had a broken water heater. They came in on an emergency basis and took care of all the water damage, including the carpeted areas. They were very careful to cover our floors to protect them from damage from their drying equipment. They performed all functions in a timely manner and were very helpful in explaining the steps they were going to take. They took everything apart and put everything back where it belonged. Nothing but courteous and responsive service. We had water enter our finished basement through the windows during the very heavy storm. We removed and dried out the area for a couple weeks. To make sure that there was no drywall or carpet pad damage I called A & D Hydra Clean. Steve Spink came to our home to check the pad and removed a section of molding to check the drywall. Everything was ok. I spoke with Kyle initially on the phone, who was very helpful and informative. He told me the cost to monitor the moisture level and have a visual inspection. Later Steve Spink came out for the inspection. He was extremely helpful and professional in explaining everything he was doing and had tips to avoid possible future damage.